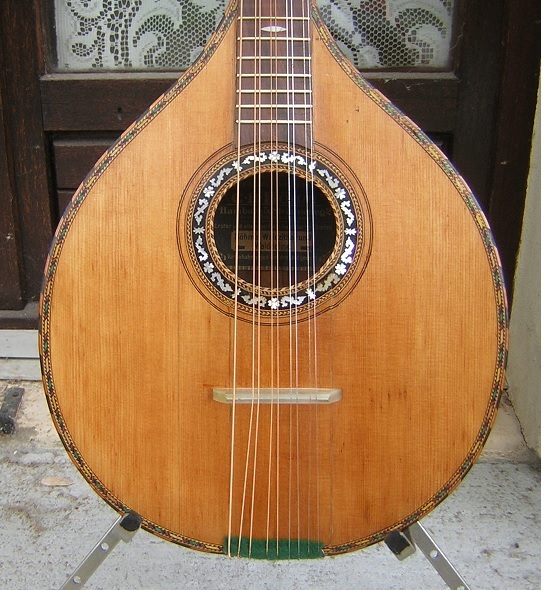 This is an old Bohm Waldzither, made in Germany with Preston tuners. 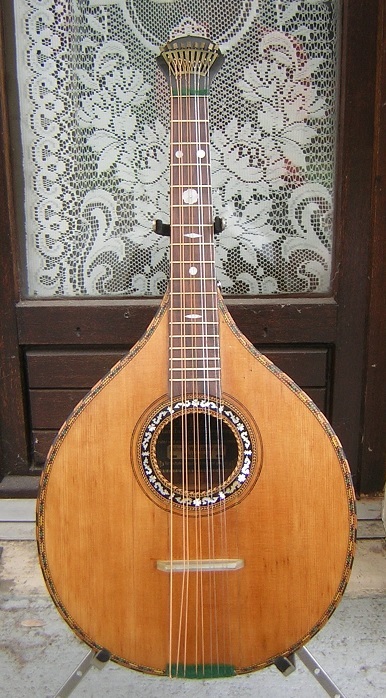 It has the original relevelled rosewood finger-board with 17 original brass T- frets. The top has 2 shrinkage repairs. The flat back is sound with 1 small repair. The tuners, tail and bridge are originals. The instrument has been completely refinished with Tru-oil. 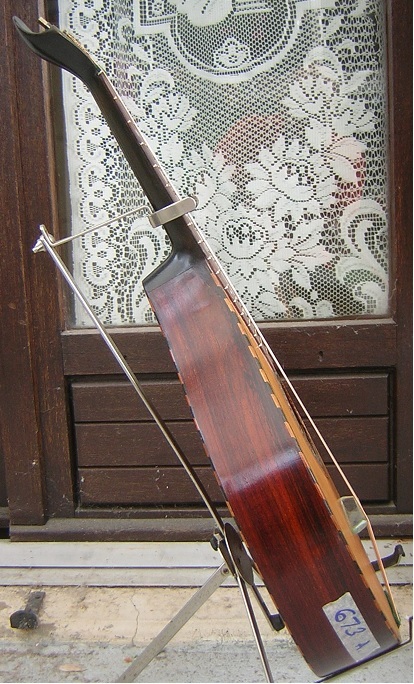 It has been strung as a traditional open C waldzither in CGCEG. It is now playing well with a full, ringing, sonorous sound, good sustain and a light action. Other than cleaning, I have carried out the following work on this instrument: 1) repaired 2 shrinkage cracks in the top and 1 in the back; 2) refinished throughout with Tru-oil; 3) re-levelled fingerboard and frets; and 4) strung and set up. Round, approx. 77mm. Diameter. 2 shrinkage split repairs. Slight warping around soundhole. 2-piece flat back in rosewood. 1 small shrinkage repair near the tail. 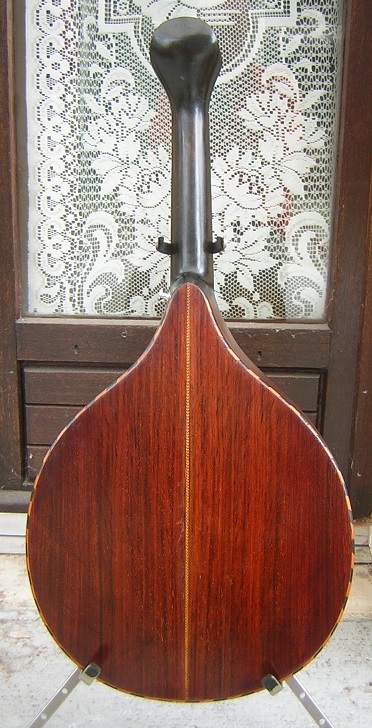 Single-piece, painted, neck and head. Strap button fitted at the heel. 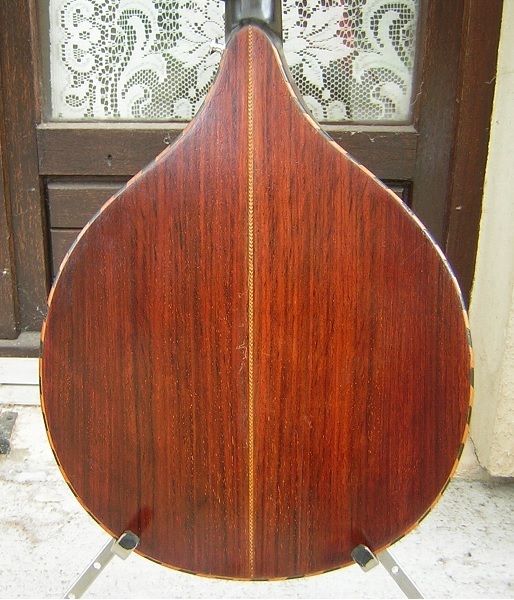 Relevelled original in rosewood. 17 brass frets. MOP position markers at frets 3, 5, 7, 9 and 12. Original steel Preston tuners, all working. Original tailpiece in steel with 10 string hooks. Original?? strap looop.